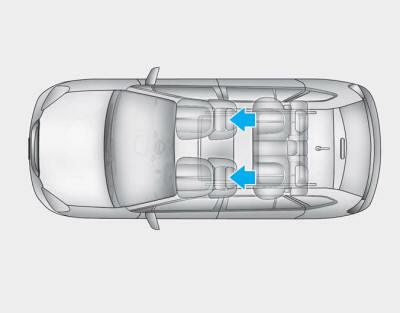 The vehicle’s front and rear seats have adjustable headrests.The headrests provide comfort for passengers, but more importantly they are designed to help protect passengers from whiplash and other neck and spinal injuries during an accident, especially in a rear impact collision. Always properly adjust the headrests for all passengers BEFORE starting the vehicle. NEVER let anyone ride in a seat with the headrest removed. 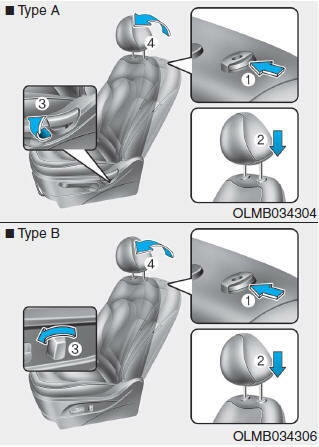 Adjust the headrests so the middle of the headrests is at the same height as the height of the top of the eyes (see diagram). NEVER adjust the headrest position of the driver’s seat when the vehicle is in motion. 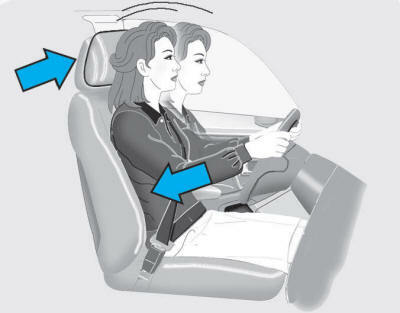 Adjust the headrest as close to the passenger’s head as possible. Do not use a seat cushion that holds the body away from the seatback. 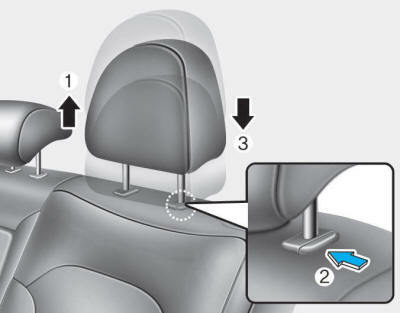 Make sure the headrest locks into position after adjusting it. To prevent damage, NEVER hit or pull on the headrests. 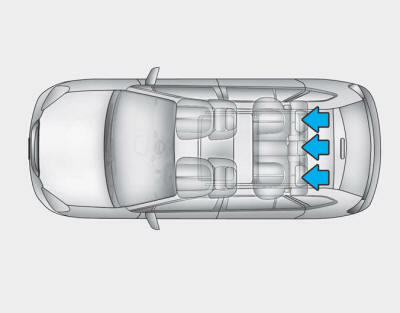 The rear seats are equipped with headrests in all the seating positions for the passenger’s safety and comfort. 1. Raise the headrest as far as it can go. 2. 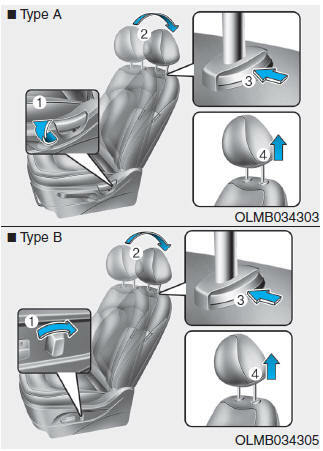 Press the release button (1) while pulling the headrest up (2). 2. 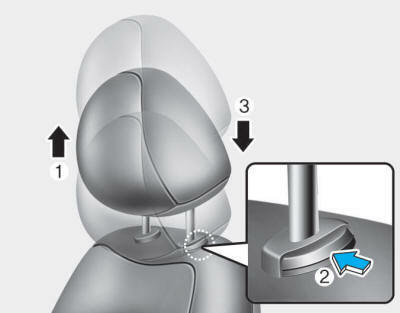 Put the headrest poles (3) into the holes while pressing the release button (1). 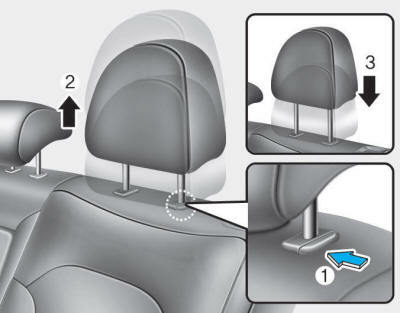 Always make sure the headrest locks into position after reinstalling and adjusting it to properly protect the occupants.